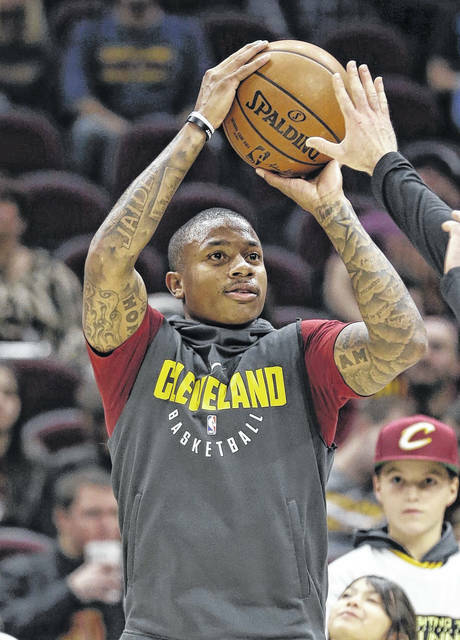 CLEVELAND (AP) — The agonizing wait to play again is over for Isaiah Thomas. Vengeance on the Celtics is still on hold. Thomas, sidelined with a hip injury since last season’s Eastern Conference finals, will make his debut for the Cleveland Cavaliers tonight against the Portland Trail Blazers. Coach Tyronn Lue said Thomas will come off the bench and initially will play limited minutes. Also, he will not play in back-to-back games as he builds up strength, which means he won’t face the Celtics on Wednesday night in Boston. Thomas was deeply hurt by Boston’s decision to trade him, and he would like nothing more than to show his former team what it gave up. However, as much as Thomas would like to play against the Celtics, he knows the smarter move is to put his health first. Thomas has slowly worked his way into game shape, scrimmaging first against the G-League Canton Charge and then with his teammates a few days ago. While he’s in good physical shape, his game still needs some conditioning. There are bound to be some growing pains as the Cavs get comfortable with Thomas and vice versa. But Thomas isn’t worried about not fitting in.